And some free llamas to colour in. Add your link to the list below. I like it Dotty! I’m not sure what my blog is, but hey I have some photos and drawing and stuff right? this is as close to front of comments I’ve EVAH got on any of your posts. love, LOVE your idea for this “catalog blog”!! Well here is my art blog: http://jniggelart.wordpress.com/ Have a look! I’ve started a blog to explore the ‘creative process’ that we go through, from IDEA to finished WORK (I’d rather use that term than PRODUCT). And, what motivates different artists to do this ART thing anyway. Whether it’s mostly $$$$$$’s, to save the environment, to meet cool people, because we couldn’t think of anything else to do, whatever. I’m also interested in artists’ workspaces. I’d like photos, whether it’s the kitchen table, the garage (like mine), or a deluxe ‘studio’. Photos and comments about a work in progress. I’ll include any links you send to completed work, or Etsy shops or other websites. I don’t intend this to be a blog to list items to sell, but will link to them. If you don’t have the time or inclination to do this now, I’d still appreciate ‘followers’ and being connected to other artists you know who might be interested. Of course, any replies on the blog are welcome also. If you send me an email (mfsmith46@gmail.com), I will post it on the blog, and include any photos as well. There is art in the everyday. It’s easy to walk through the world and not see. Time moves on. Things change. I’m taking the time to look & stop & capture moments & colours of ordinary things & day-to-day life in snapshots. Love this idea. My blog is varied, but about once a week it is a photography post: http://www.newsofthetimes.org. Hope you’ll visit! Looking forward to checking out others! Thanks for the opportunity! ps thank u Dotty !!!! I have a photo blog called Rainey’s View. It’s just a place for me to express myself with a camera. I hope you will stop by and give me some feedback on my art! I love to draw and have a deep passion for it! I hope my blog will inspire other people to draw! http://lifedrawnout.wordpress.com/ Thanks! I have five limbs, 2 legs, 2 arms, and a camera. Lucky me. Thank you, Dotty. Would be happy to add my mixed media (with an emphasis on photography) blog to the list. Thanks for your site. I could spend hours on it. I’m Dan, a Las Vegas based photographer doing what I love. Expressing thought through photography. Thanks Dottie! I love to share personal stories and random thoughts, but have just recently starting sharing my amateur photos as well. A journal of sorts of my adventures practicing photography as a sacred art – camera work as contemplative aid. Images and words. Hi, Dotti! Here’s my art gallery. I am a fiber art and that is mainly what I blog about. But anything creative is interesting to me, ie photography, other artists, lots of things I find a connection with. Hope you might too. Hi! I’m Karen, and I write about my travels around Asia. I like taking photos along the way, and you can see theme in my blog. http://patriciaddrury.com/ Come visit and you can see what I see…. Another photography blog joins the mix. COLORS THROUGH TRAVEL. FOOD. PHOTOGRAPHY. DESIGN. ART. A blog about art, writing, sailing in the Northwest with an esoteric bent. A bit of photography – macro mostly – intermingled with introspective writing. http://www.looneyatoms.com My blog has become a blog of photos, but it is also about me, my family, our cocker spaniel Wilson, our holidays, where we live, flowers, animals, birds…… (and when I’m feeling sorry for myself my dyslexia, fibromyalgia, ME, sinusitis & addiction) I do my best not to let these nasty things creep into my blog too often!! You’re all welcome to visit the Wildersoul Colouring Book and add a little colour, or a lot… It’s a free online colouring book, with a bit of variety. Mandalas, geometric, blank frames, realistic and abstract art. A bit of digital art / fine art thrown in. I am not a photographer, but wished I was. I try hard… does that count? I follow a lot of photo challenges and post on one each week. Looking forward to you stopping by. On January 1st 2014, the Photography | Nature name is being changed to “Mother Nature | Life at the touch of a button, feel free to drop by my blog anytime :-)!!! Pleas follow him, amazing blog! Thanks Daniel, I really appreciated the kind gesture 😊👍!!! this is a really cool concept. I am a photographer who shoots a little bit of everything but mostly nature http://iseebeautyallaround.com Hope you can drop by! Currently, I am studying GCSE Art and obsessed with photography. My blog ‘travelling beyond sea’s’ is full of my collection of photography. Follow for a follow back. I blog about my love of nature by taking photographs of whatever inspires me when I’m out walking in the English countryside with my dogs. I love photography and what you can do with photo’s. Celia Rhodes The View From My Window–you’ll find photos of lovely flowers, cats doing crazy things, birds, old barns and other nostalgic scenes, alone or accompanied by a shot story or explanation. Stop by and enjoy the scenery! I really like this idea! My blog is about crafting with duct tape and Washi tape. Hi! You can find me and my photography at http://www.wordpress.com/goddessdigitalart. I post photos with and without digital manipulation, and usually a few words of description. At the moment, I’m playing with abstract images but I also do old barns, cats, horses, and anything else that catches my eye. I look forward to seeing you! 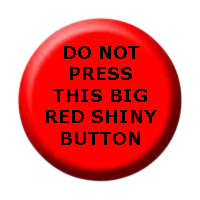 Trying to get the button on my page but it doesn’t seem to be working…..any hints? Do visit to view some of my photography….